We offer 3 large bedrooms where modern comfort is combined with a stilish interior, perfectly in harmony with the renovated ancient building. Each room is equipped with single boxspring beds, bath and / or shower and a cosy sofa with television set. You can relax on the terrace or in the garden or when the weather is not so good, we light the fire place in the common living room for you to enjoy a good book or a game. Hot and cold drinks can be obtained from the kitchen where you can also prepare something yourself. 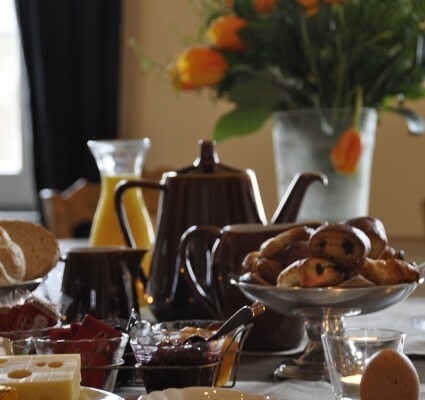 But most of all, we invite you to enjoy a tastefull, continental breakfast giving you all energy required to discover our magnificent Vlaamse Ardennen. 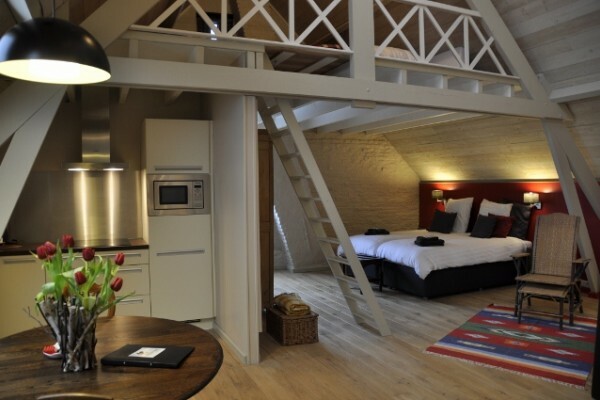 "Clara & Remi" offers 4 single boxspring beds, 2 located on the mezzanine. Bathroom is equipped with a standalone bath, washbasin and toilet. "Marie & Octave"offers 4 single boxspring beds, 2 on the mezzanine. The bathroom is equipped with a shower, washbasin and toilet. 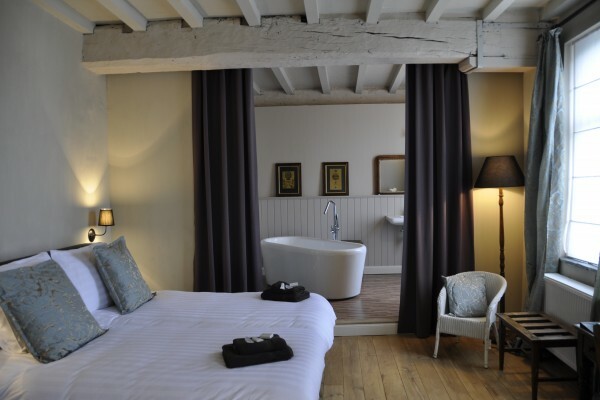 "Flavie & Theophile" is located on the ground floor, offering 2 boxspring beds, a standalone bath and rain shower. We serve an elaborate continental breakfast in the common room at the time you desire. We can prepare dinner for you if you wish. Please mention this at the moment of reservation. Free parking spaces on the square. 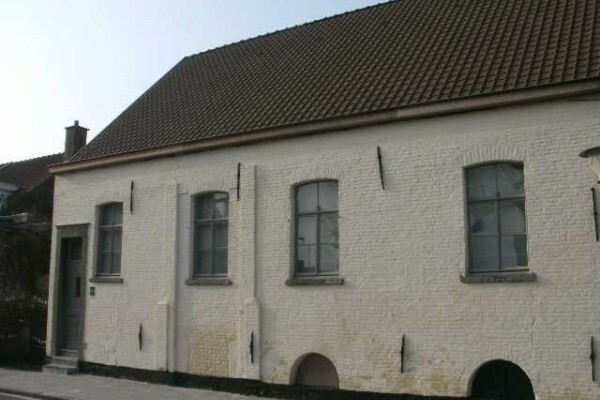 Did you stay in B&B 't Huys van Enaeme ****? Let us know what you thought about it and help others to make the right choice! * I confirm having stayed in B&B 't Huys van Enaeme ****. Find other bed & breakfasts in Ename, all bed & breakfasts in Flemish Ardennes or all bed & breakfasts in East Flanders.